Ada Sarah Ballin (1862-1906) was an English magazine editor and proprietor, and writer on health. She translated Muslim History and Hebrew texts. She was a lecturer to the National Health Society of London. 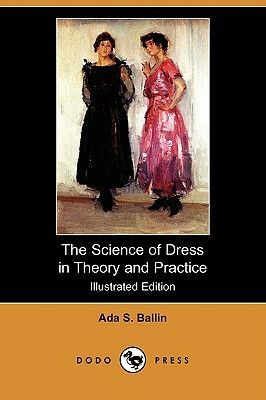 In 1885, she wrote The Science of Dress in History and Practice. "In placing before the public a book treating of dress in a scientific manner, I may be allowed to remark that people are apt to look upon the subject in a wholly frivolous way. For my present purpose I will divide mankind into two classes, the people who think and the people who do not think. Now the people who think, the intellectual part of the population, look upon dress as something beneath and quite unworthy their attention; the people who do not think regard it wholly as a means of display.